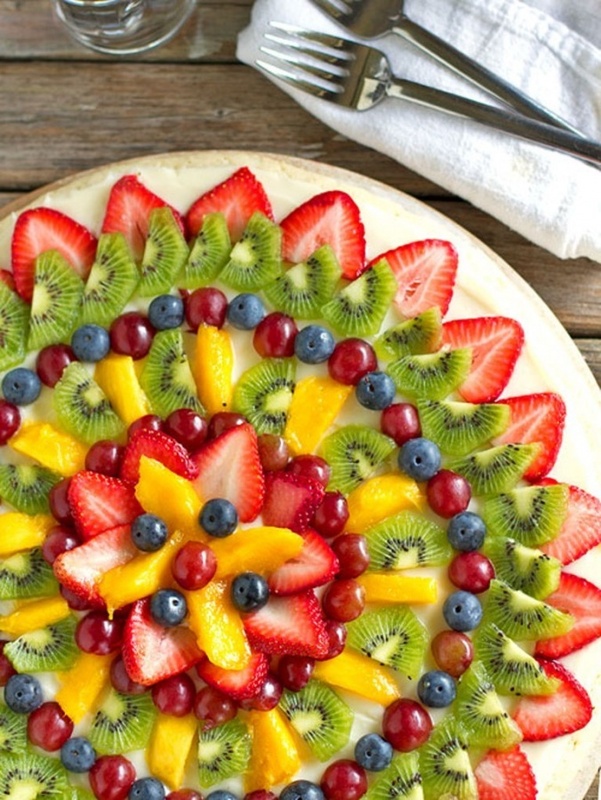 There is no one who does not like pizza, but what about fruit pizza? 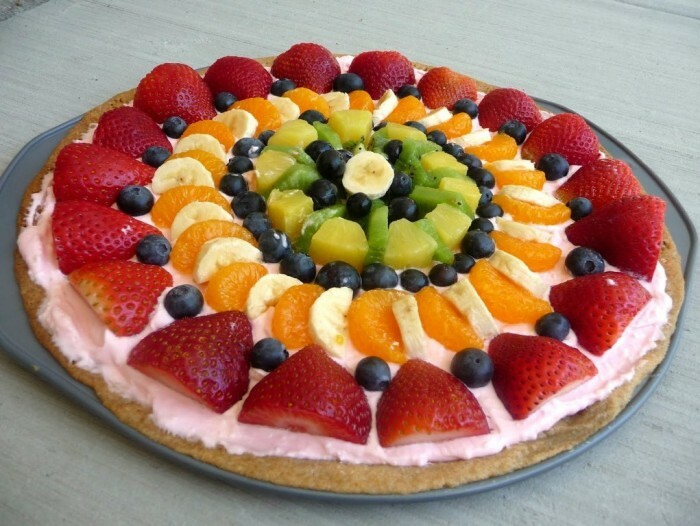 It is not difficult to make fruit pizza on your own as it does not require expensive ingredients and you will not need to waste your time making it because all what you need is less than one hour for preparing and baking your fruit pizza. 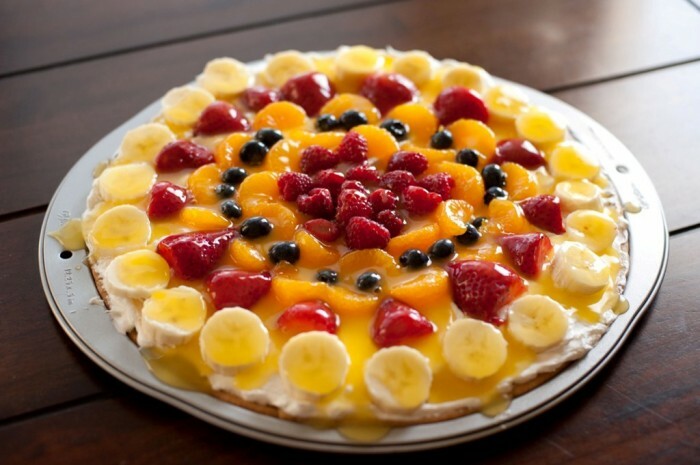 If you are really interested in making fruit pizza by yourself instead of purchasing it, then read the following easy recipes and start making them on your own. 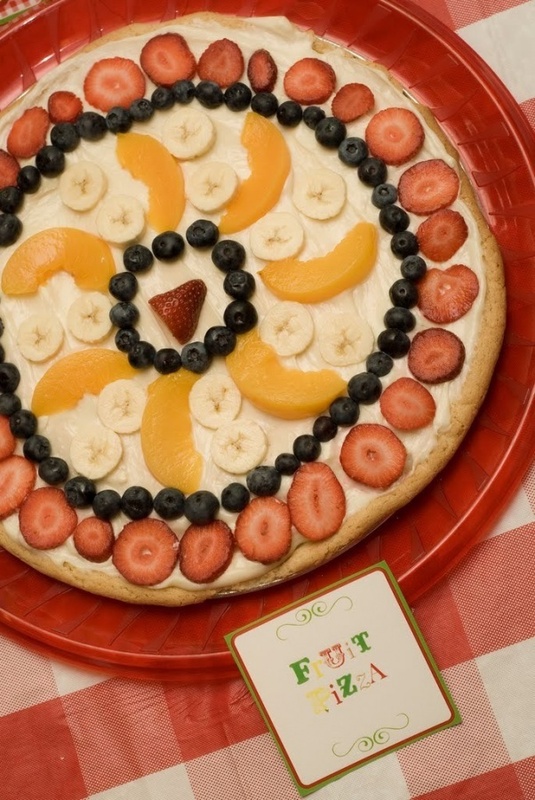 If you have children, it will be a great idea to ask them to help you while decorating your pizza with fruit after being baked and cooled. 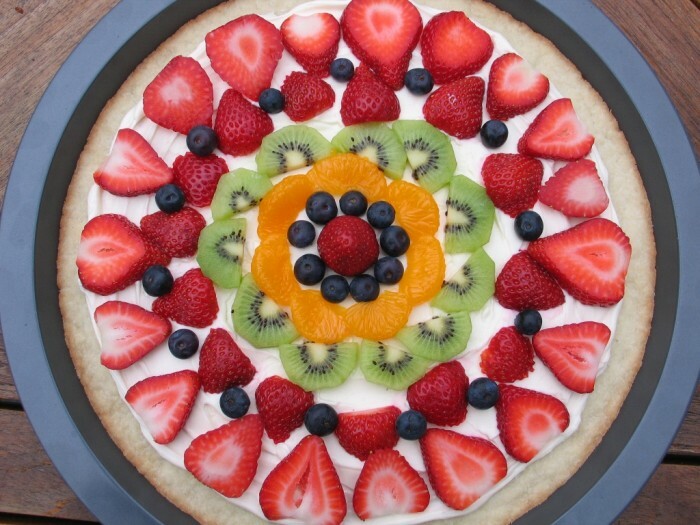 The total time that is required for making this pizza is 45 minutes (30 minutes for preparation and 15 minutes for baking). This pizza is enough for 8 to 10 persons. 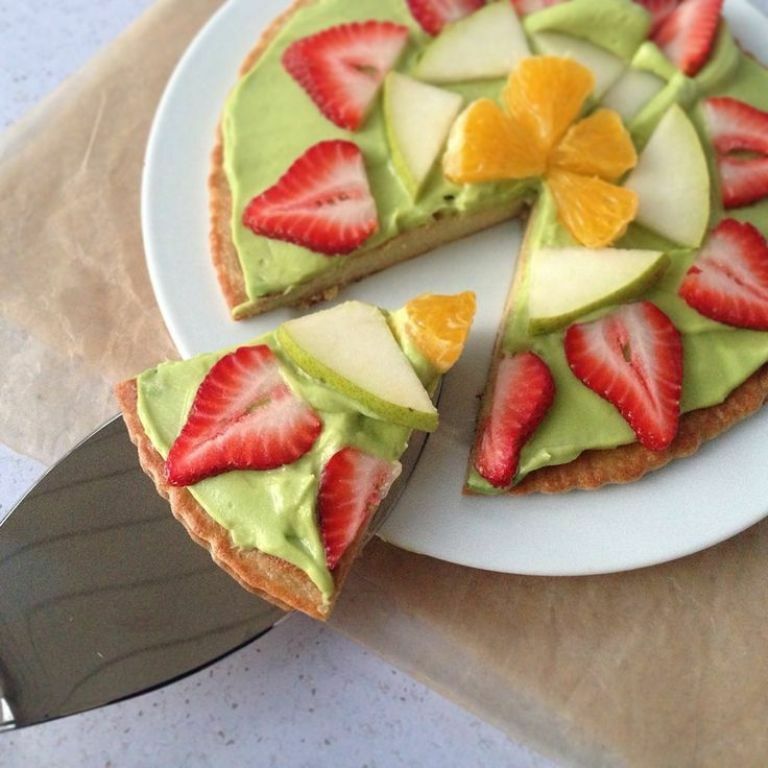 – ½ teaspoon almond, orange or lemon extract. 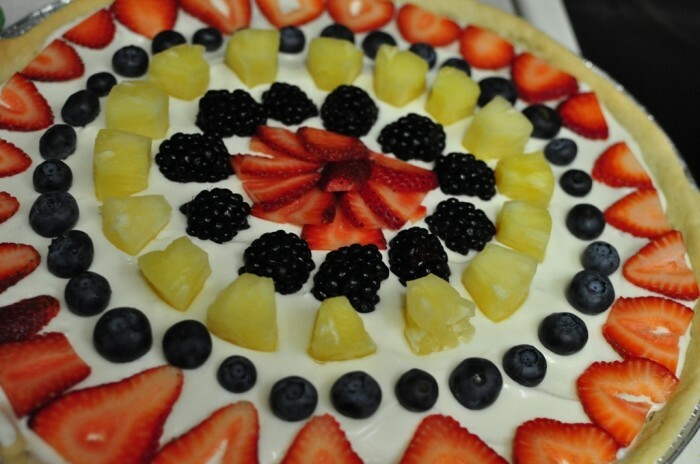 – One package (8-ounce) softened cream cheese. – One package (17-ounce) sugar cookie dough. – ½ cup of orange marmalade. 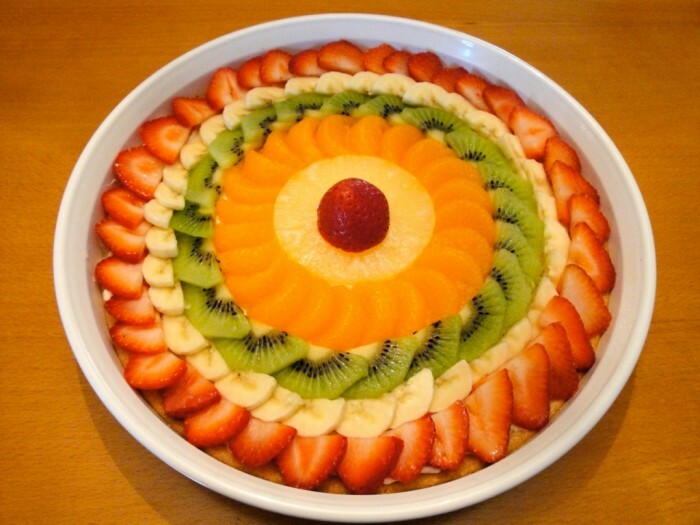 – 3 cups of fresh fruit which includes peaches, blueberries, strawberries, rounds of peeled orange, pineapple cut into chunks, bananas and cherries. – Before starting preparing your pizza, you have to heat your oven to 350 degrees F.
– Bring a round pizza pan. 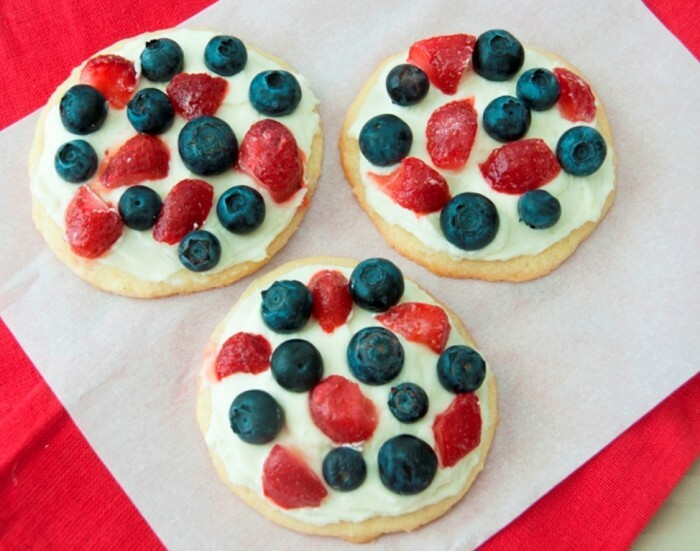 – Take the sugar cookie dough and flatten it. Make it large to suit the size of your pizza pan. 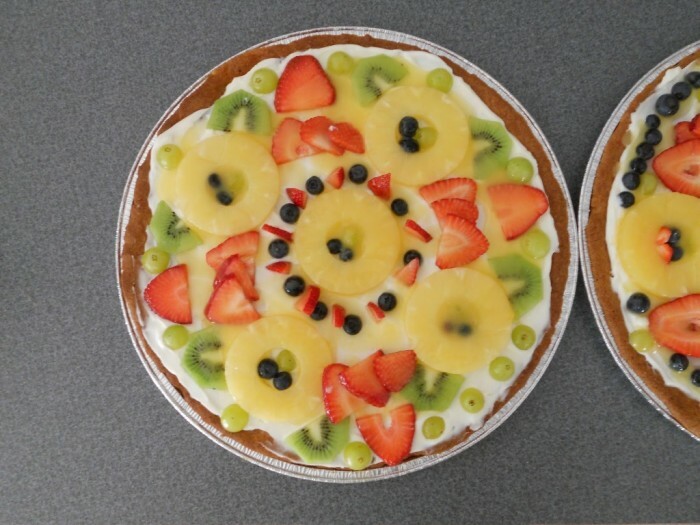 – Put the pizza pan with the dough in the oven and bake it for about 8-15 minutes. 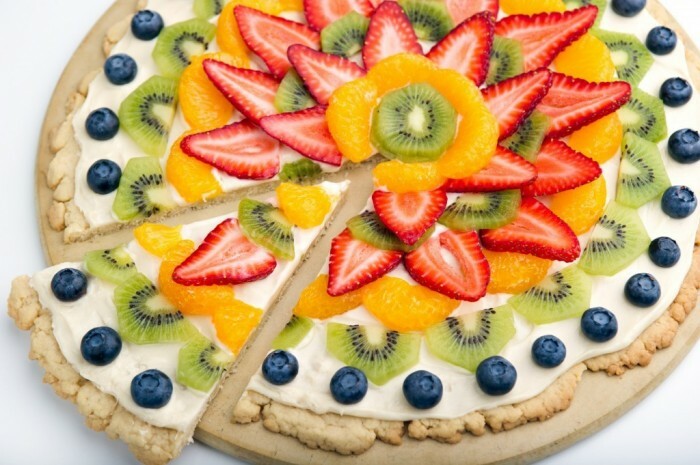 – Leave the cookie to be fully cooled and during that time prepare the topping. 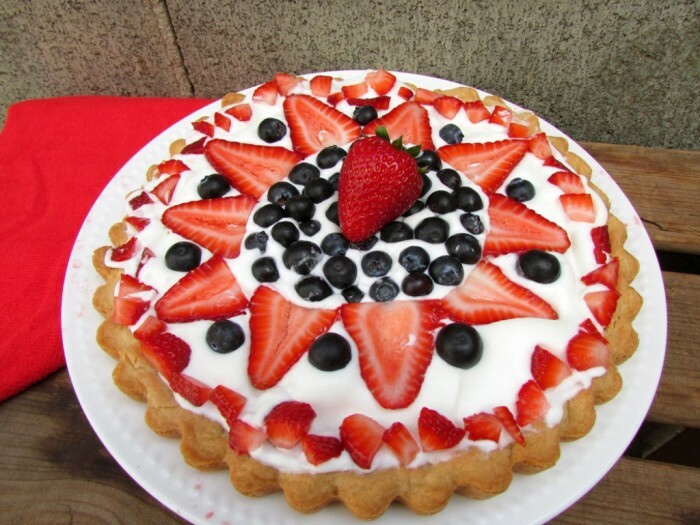 – Bring the extract and softened cream cheese and blend them together. 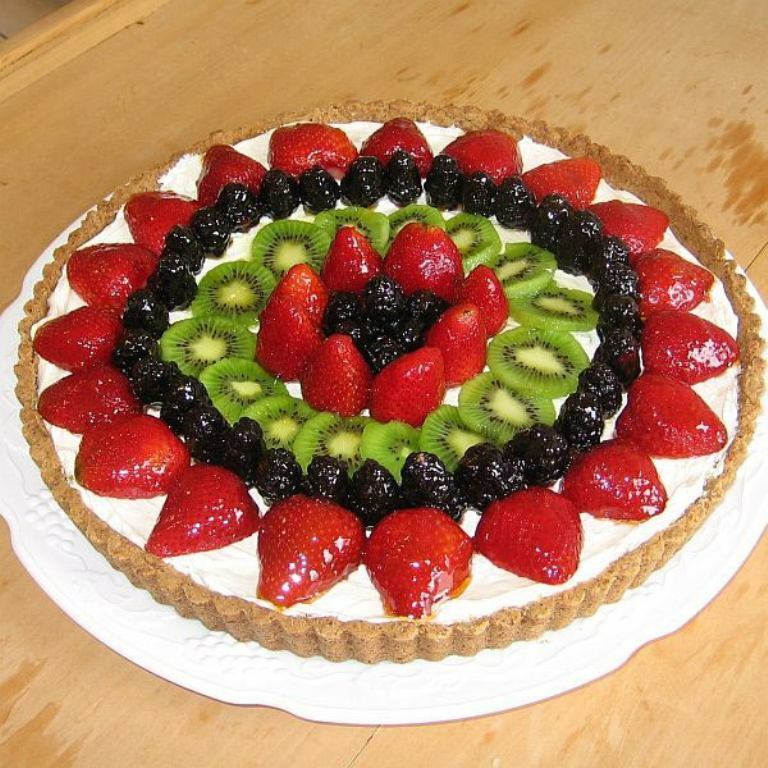 – Bring the cooled cookie and spread the cream cheese mixture on its crust. 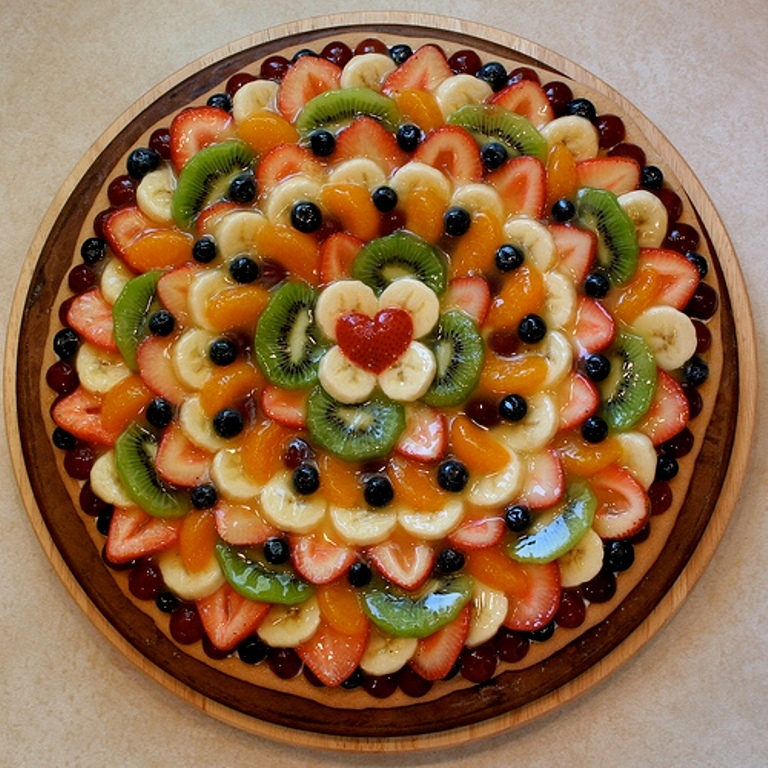 – Decorate the pizza through using fruit and arrange them in an interesting way. 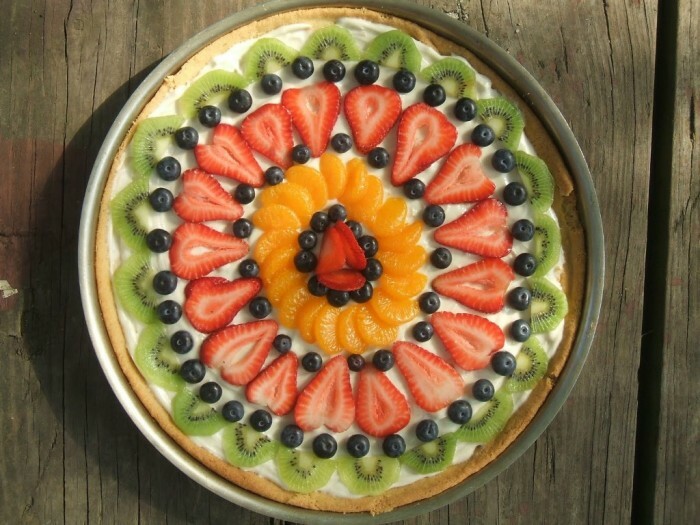 – After decorating your pizza with fruit, warm orange marmalade and put it on the layer of the fruit. 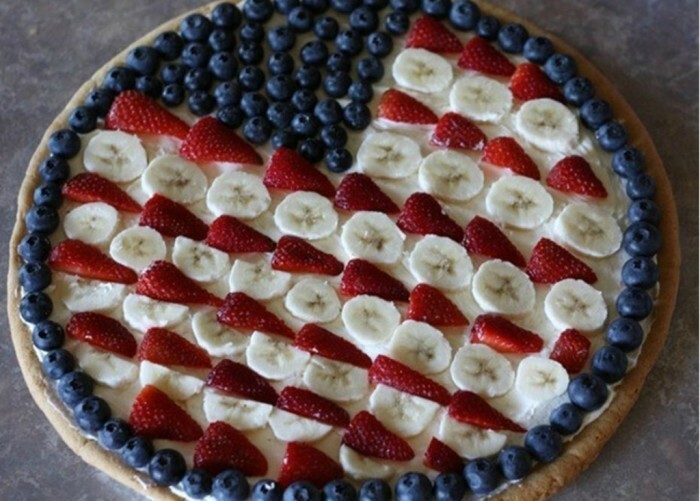 The total time that is required for making this pizza is 45 minutes (30 minutes for preparation and 15 minutes for baking). This pizza is enough for 8 persons. – One package of sugar cookie dough. 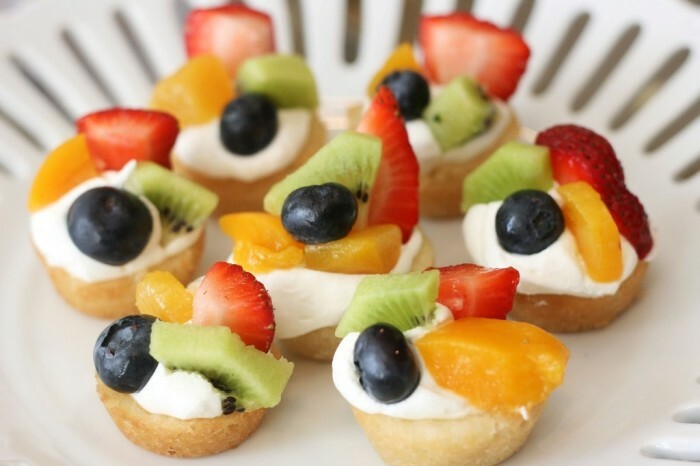 – ½ cup melted white chocolate chips. 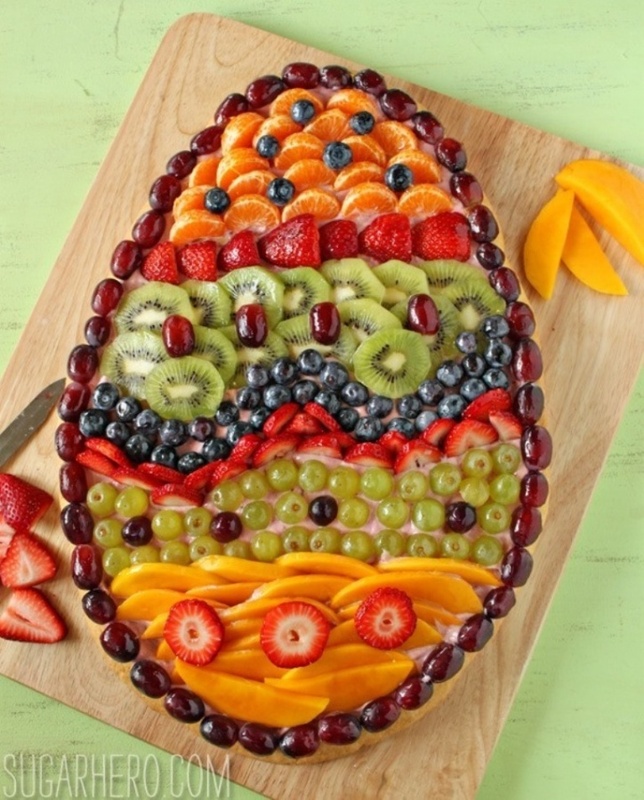 – Fruit which includes peach, orange, green apple, strawberries, raspberries and blueberries. 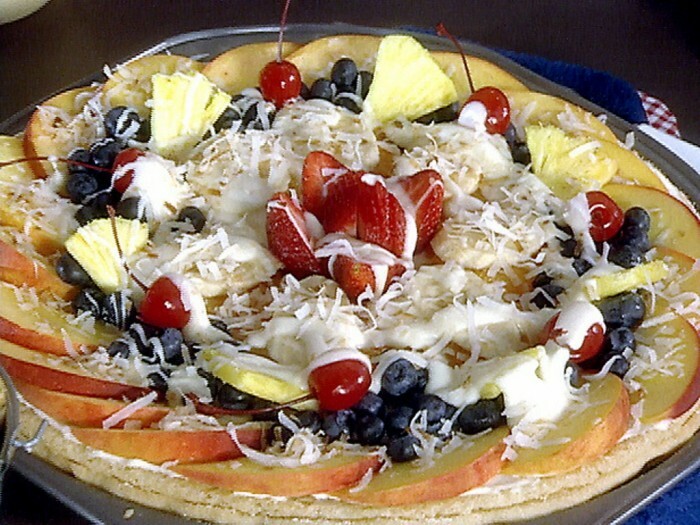 – Before starting preparing your pizza dough, heat the oven to 350 degrees F.
– Bring a 6-inch pizza pan. 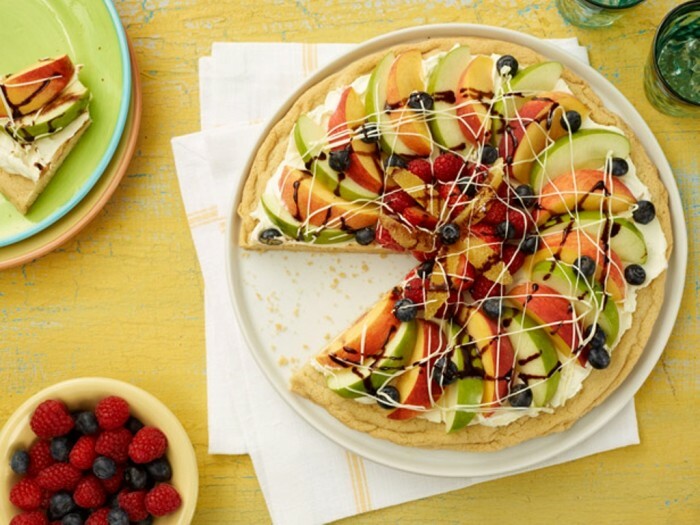 – Flatten the cookie dough to suit the size of the pizza pan. – Bake the cookie dough in the preheated oven for 11-15 minutes until it becomes firm. – Leave the cookie to be fully cooled. 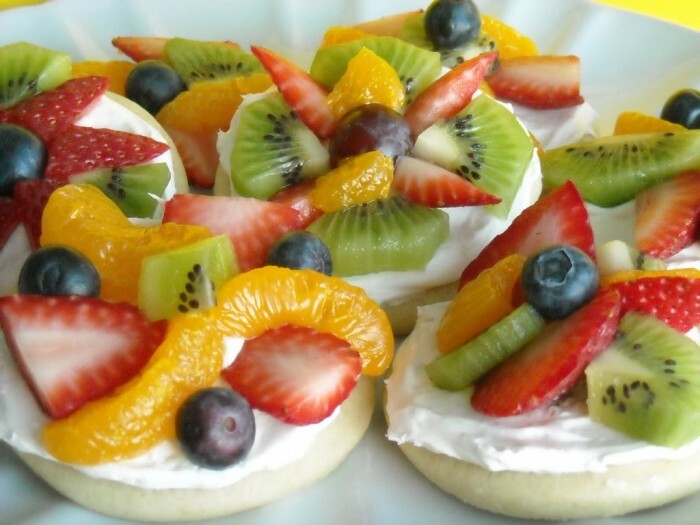 – Mix the softened cream cheese with sugar and spread the mixture on the cooled cookie. 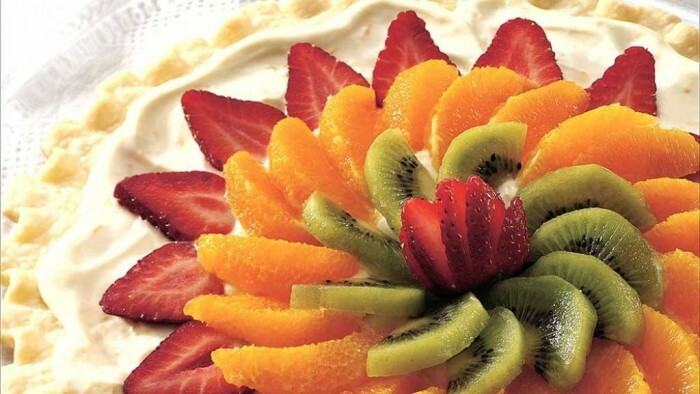 – Decorate the baked cookie with sliced fruit. 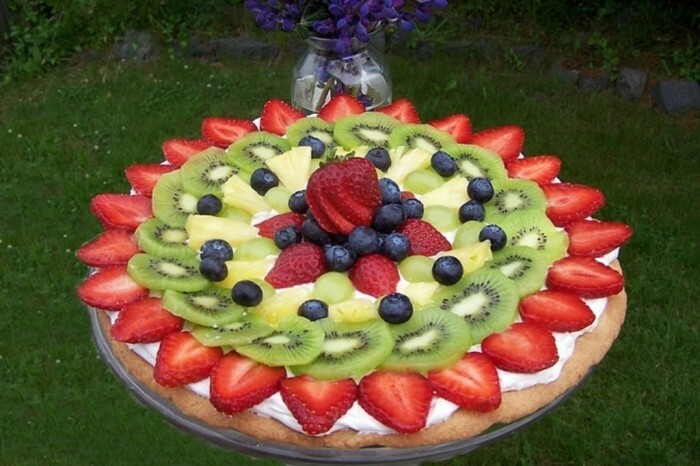 – Mix chocolate syrup with melted white chocolate and put the mixture on the pizza with some berries.